From Labor Action, Vol. 12 No. 7, 16 February 1948, p. 4. What Are the Stalinist Parties? The launching of a series of strikes in Italy and France, reaching the point of a general strike in France, and conducted with aggressiveness and militancy in both countries, has once more raised the question of the character of the political movement which initiated and led the strikes and which was in every way responsible for them, namely, the Stalinist party. The difficulty in answering this question is created in the minds of most people by the extremely wide variety of positions that the Stalinists are capable of taking and do take. They will appear one day as the most ardent champions of all-out production, regardless of its costs to the working class, and the next day as the equally ardent champions of the demands of the workers regardless of what happens to production. One day they are the bitterest opponents of strikes of any kind and on another day nothing less than a general strike will satisfy them. For example, only a few months, ago the leader of the French Stalinists, Duclos, declared in an interview that only imbeciles favor a general strike. A short time later he was declaring that only the tools of American imperialism could oppose the general strike. One day they are the loudest drum-beaters for democratic imperialism. On another day they are its most irreconcilable enemies. If we examine closely the real aims of Stalinism in France and Italy we will come to a basic understanding of what Stalinism really represents, what its political and social character really is. To explain the changes in the Stalinist position on the grounds that the Stalinists have taken a left turn is absolutely false and reveals a misconception of the nature of the Stalinist parties which must be removed, right at the outset if a correct understanding is to be reached. A turn to the left implies that the Stalinists are subject to the pressure of the working class. Nothing of the sort is true. There are literally scores of significant cases that prove the contrary. The Stalinists are subject to working class pressure only in the general sense in which all political parties, including the most reactionary capitalist parties, are subject to such pressure. That is, only in the sense in which they do not exist in a social vacuum but in the midst of the class struggle itself. It is a peculiarity of Stalinism that it seeks to base itself upon the working class, that its most important field of activity is the working class, but this does not change the fundamental character of Stalinism as an anti-working class and a non-working class movement. And by that we mean that its social and political interests are not bound up with the interests of the working class in any sense; by that we mean that the protection of its own interests are in contradiction with the protection of the working class and its movement in any form. If it often appears that the Stalinists are subject to the pressure of the working class and its legitimate demands, or that they are yielding to this pressure, then it is on one condition only: that this pressure coincides or seems to coincide with the only pressure to which the Stalinist parties ARE subject, when it conforms or seems to conform with the political interests of the only force that constitutes the real basis of these parties – the Russian state power, the rule of Stalinism in totalitarian Russia. Workers’ Power or Stalinist Power? By its very nature, this ruling class, the collectivist bureaucracy, is reactionary and totalitarian. Once the means of production and exchange are centralized in one hand, you have a TOTAL POWER. If the hand is the hand of the people, in the first place of the working class, you have workers’ rule, democracy, the necessary prerequisites for attaining that complete democracy which leads directly to the classless socialist society. If, however, the hand is the hand of a bureaucracy, separate from the workers and the people in general, the supercentralized means of production becomes an instrument for the suppression and exploitation of the people in the interests and for the benefit of the bureaucracy. This at once establishes both its reactionary and totalitarian character. It cannot share its power with the working class not only because the working class is the kind of class that cannot share power with any other (it either has the power itself, in which case it rules and moves toward socialism, or it is an exploited and oppressed class) but also because of the particular fact that any degree of democracy Which the sharing of power implies means the end of the rule of the totalitarian bureaucracy. Now, what Stalinist imperialism is in the concrete we already know. It has expanded eastward, in Asia, and westward, in Europe. In those countries where it has taken over control, it has proceeded to establish the same social and political regime that prevails in Russia itself. In some countries the process is faster than in others, but in all of them it is the same fundamental process. The capitalist system is undermined, the capitalist class is destroyed, capitalist property is abolished – but the result is not socialism; the result is the same totalitarian collectivism that prevails in Russia, accompanied by the same mass enslavement of workers and peasants. The problem of Stalinist imperialism then becomes, concretely: to consolidate its conquests in western Europe, to defend them from all attacks or infiltration; and at the same time to prevent the consolidation of its only serious imperialist rival, the United States, in the rest of Europe. Now, in the long run, this aim – like the corresponding but contrary aim of American imperialism – can be achieved in a durable way only by force, by arms, that is, by a third world war. Both big camps are actively engaged in preparing for it, but neither side is ready for it. To be ready requires a considerable economic and political preliminary work which has as yet only started and is not by any means completed. Both sides are aware of this; both know that they have a measurable period of time at their disposal before a decisive armed conflict is precipitated. Stalinist imperialism, much the weaker and more backward of the two, is especially gratified by the interval at its disposal. It must use it to the best advantage, but at the same time it must be extremely careful that it does nothing to precipitate the conflict prematurely, that is, before it is ready to engage in it with reasonable possibility of winning. Now, this is simply what determines the course of its agents abroad, namely, the Stalinist parties. But the closer Stalinism comes to the heart of the capitalist world, to the most important geographical organs to which this heart pumps its golden blood and from which it gets its own sustenance, the more hesitant Stalinism is and must be. But in order for Stalinism to take greatest advantage oi the time left to it before a war, and to reduce the corresponding advantages, of its rival, it must strive incessantly to prevent the consolidation of American imperialism in Europe. This dictates the course of the Stalinist parties in those countries of Western Europe where they cannot and will not take power – countries like France and Italy – but where they are determined to do everything within their capacity to prevent American imperialism from consolidating its power. Now, the concrete means whereby American imperialism seeks to consolidate itself in Europe and to contain Stalinist imperialism until the moment when it is ready to launch the war to reduce its rival to atomic war ashes, is the Marshall Plan. That plan has two interrelated aims, economic and political. Politically, America must have reliable governments in every European state. Reliable governments, from Washington’s viewpoint, have a double significance: One, a government which is capable of holding the working class in check, keeping its standard of living at a low ebb, which would in turn make possible the balancing of the budget and the kind of industrial peace which imperialism requires – and two, a government which does not have too many pretensions at playing an independent role in world politics, such as playing off Russia and the USA for its own advantage, but which submits meekly to the dictates of Washington. Economically, the Marshall Plan proposes an industrial upswing for the countries of Western Europe, the re-establishment of social order, the rationing of Europe on a higher level than now exists, and the preparation, economically and politically, of these countries into first-line bastions and battlefields for the coming war. The Stalinists, who are following essentially the same course in Eastern Europe, even if in a different way, find themselves compelled to counteract the Marshall Plan with all the means at their disposal. We say that the Stalinists are agents of the Russian state and its ruling class. This is generally acknowledged among politically educated people of varying convictions. But two questions immediately arise from this statement: (1) Reactionary powers, like Nazi Germany, have had agents abroad before serving their interests. But there has never before been an example Similar to that of the Stalinists – that is, agents in the labor movement, and with a mass base and support. What is the explanation? (2) Are the Stalinists agents of Russia out of idealism, or out of definite material interests? If so, which? We cannot complete our understanding of Stalinism and its aims without an examination of these two questions. Let us consider them in reverse order. Are the: Stalinists idealists? In the behavior, methods and tactics of the Stalinist leadership there is not a trace of idealism. They are bureaucrats to the core. Furthermore, Marxism teaches us that social classes and groupings are prompted by material interests, not abstract thoughts about themselves and their role. What material interests lie behind Stalinism? Is it Russian money? Useful and handy as even a deflated ruble may be, such a superficial explanation will hardly touch upon our problem. Is it the bureaucratic position per se, with its privileges, power over others and relative prestige, occupied by Stalinist functionaries? Then how do the Stalinist bureaucrats differ from the traditional Social Democratic, reformist and trade union bureaucrats? Clearly, the Fosters, Thorezes, Pollits, etc., are not of the traditional species of bureaucrats. They serve Russia and they are engaged in struggle with the capitalists. A cursory examination of the role played by the Stalinist bureaucrats and the traditional bureaucrats in the recent European strike events is enough to show the qualitative difference between the two brands. Then what are the material interests of Stalinism? What is its material base? Ernest Germain, leading theoretician of the orthodox Trotskyist camp, attempted an answer in his phrase describing the Social Democrats as the reformists of capitalism’s rise, and the Stalinists as the reformists of capitalism’s decline. We consider Germain wrong, since we reject the description of Stalinists is “reformists” in any sense, but he is on the trail leading to our answer. The traditional socialist and union bureaucracy formed a wide and powerful social layer of society in the period of capitalism’s rise. It depended upon capitalist democracy to gain superior economic positions for its unions and organizations; and for access to superior political positions, all within the framework of capitalist society. The growth and success of this labor bureaucracy was simultaneous with its more and more complete association with the petty bourgeoisie and its ideology. But the period of capitalist degeneration brings utterly different phenomena. The Stalin bureaucracy, together with the petty bourgeois intelligentsia and other middle class strata of society, has grasped that it has no future under capitalism today. At the same time, it has no belief in socialism. Capitalism depresses these groups, both politically and economically. The end of democracy, the democracy concomitant with prosperous capitalism, is clear to them. The possibility of political or economic success in the capitalist world has vanished. They react in a dual fashion, resisting capitalism and, at the same time, seeking power. The example of Russia under Stalin shows not only that it can be done, but how! How? As individuals, they cannot grasp the power and privileged position they seek by becoming capitalists (as, for example, many a shrewd Social Democrat could in bygone days). But they can win control over capital (that is, power) only if capital is considered as a whole, as a collectivity, as a force that can be manipulated and directed through the state. Capital, then, the economic system or the means of production, must be expropriated if power is to be grasped. But how? But these groups, a social hash, do not have sufficient strength to expropriate capital! Only with the aid of the mass working class can they even dream of attempting such an expropriation. Hence this neo-bureaucracy functions, must function, within the working class movement. In this respect it is completely unlike the fascist movement. It seeks to convert organized labor and its institutions into a ladder on whose rungs it can rise to power, to collectivist power organized along totalitarian social lines. In our belief, only such an analysis can account for the stubbornness and PERSISTENCE of Stalinism, as a movement, under the current conditions of social degeneration, expressed in the political demoralization and disorganization of the world working class. Can this new strata, the world Stalinist bureaucracy thrown up by regressive capitalism, achieve this social aim? Abstractly speaking, considered as a purely “theoretical” matter, this is possible. But, considered concretely, politically and actually, the weight of evidence is in the other direction. Trotsky said: the organic tendency of society is toward collectivism. Understanding by this a socialist, democratic collectivism, this is also our belief. Historically, only one class can be the bearer and realizer of democratic collectivism – the working class. Why? Because only the working class in power, having no class left which it must socially exploit, can dissolve itself in the process of building this socialist-collectivist society. From this standpoint, then, Stalinism as a world movement appears as a product of capitalist; decay and disintegration. 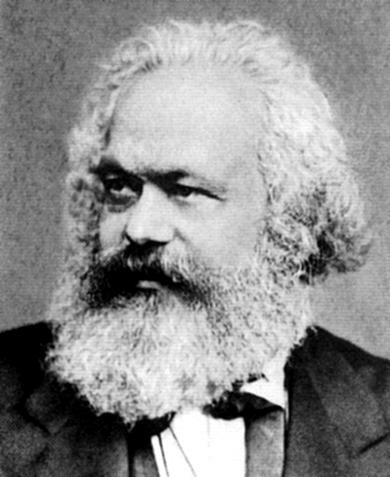 It struggles for power in our world, but it is laden with inner contradictions: (1) It is the outright agent of a foreign power, whose real nature as a reactionary imperialism is more apparent each day; (2) It exploits those workers over whom it establishes power for its own caste privileges and purposes; (3) its greatest contradiction, in living politics, lies in its desire and need for power versus its inability to control firmly those masses it must set into motion in order to seize and establish this very power! Finally, under capitalism, this Stalinist group forms only the elements, the weak roots of the classy it aspires to be. Collectivist power cannot grow organically out of capitalism. This aspiring class only becomes a ruling class after it gets power, since power, state power, is equivalent to its class essence. Likewise (and the entire history of the Eastern European countries illustrates this), Stalinism, as a ruling class, can only become: strong after it gets power. Bearing in mind these fundamental characteristics of Stalinism, we see the origin of the thesis upon which the Workers Party is founded and fights: Stalinism can be defeated; the revolutionary working class, made conscious of its many Achilles’ heels, can overthrow Stalinism on its road to socialist victory.